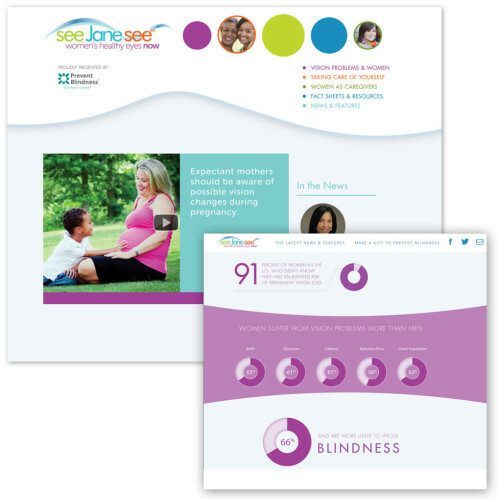 See Jane See is a microsite-based program seeking to create awareness of women’s eye health issues. Prevent Blindness came to us with the need for a redesigned blog and motion graphics to help make campaign messages more relatable. We started with colors and and type that fit within the established brand guidelines and brought them to life in a unique, audience-specific design. Sparkfactor added parallax scrolling animation, loads of data visualization, resources, and a video short that put the risk factors and action steps into focus. See Jane See from Sparkfactor on Vimeo.